The store will also be holding a special trolley dash undertaken by a local charity, Smile Support, a regional charity providing much needed full and part-time support to families with disabled children and young adults up to and beyond the age of 25, across Hampshire and West Sussex. 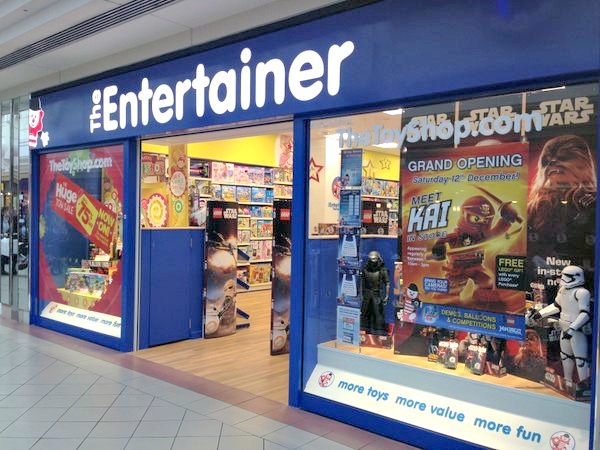 ‘Smile are thrilled to have been chosen to take part in the trolley dash at the new Entertainer store in Eastleigh. This opportunity comes at a perfect time when we are busy fundraising for the purchase of new toys and games for our brand new respite care centre in Hampshire. It will be wonderful to welcome our children with new toys donated from the Entertainer when they come to stay’. Pleased to see The Entertainer in Eastleigh. A great shop from a company that seems to be ethically based. When the kids were small there was a RockBottom Toy store (where Shakeaway is/was) and a branch of Early Learning Centre in the Swan Centre (and there was Woolies of course) which saved us having to go to Southampton. So I think a good toy shop is something that’s been missing from the mix in Eastleigh. Yes you can get stuff from the web or Argos but for children there is something magical about a visit to a toy shop.